If there is a serious national issue concerning the political economy or the environment worthy of our attention and needs to be explained without bias, you need to ask Paranjoy Guha Thakurta. The independent journalist and educator will work meticulously to get at the facts, figures and relevant information to educate the public. His work experience, spanning 36 years, cuts across different media: Print, radio, television and documentary cinema. He is a writer, speaker, anchor, interviewer, teacher and commentator in three languages: English, Bengali and Hindi. His main areas of interest are the political economy and the media in India and the world. His exposes are without hype and sensation, but carry conviction and substance. His work touches our collective consciousness. He has made movies, written extensively and spoken forcefully about every important issues of contemporary India including the coal mafia, the telecom scam, the gas wars and illegal mining which show the convergence of crime, business and politics. In this exclusive interview with Rediff.com's Sheela Bhatt, the affable Guha Thakurta educates us on everything we need to know about the Krishna-Godavari basin gas wars, why Reliance Industries Limited Chairman Mukesh Ambani and his business is being questioned by former Delhi chief minister Arvind Kejriwal and why citizens should be educated about the issue. Guha Thakurta, Subir Ghosh and Jyotirmoy Chaudhuri have written Gas Wars: Perspectives on Crony Capitalism -- Ambani brothers and the battle for India's resources. In the light of Kejriwal's determination to make the issue of the KG basin gas wars and Mukesh Ambani's business practices as an election plank, Guha Thakurta's two-part interview makes fascinating reading. 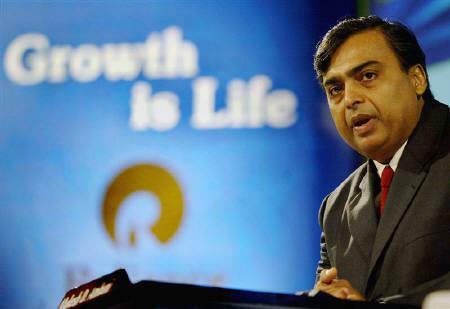 What is your take on Arvind Kejriwal filing a case against Mukesh Ambani? Kejriwal is seeking to make a political point. Whether or not any criminality will be established on the basis of the First Information Report, filed by the anti-corruption bureau of the Delhi government or the petition that is currently pending before the Supreme Court which is going to be heard from early March onwards -- this is the petition where there is former Cabinet secretary T S R Subramaniam, former power secretary Dr E A S Sarma and Common Cause are involved. I am a member of the governing council of Common Cause. Okay, so you can call me an interested party in that sense. And this case is all going to be heard by the Supreme Court very soon. The Supreme Court will decide whether there is any criminality involved, whether there was any illegality involved, whether there was a quid pro quo at work, and accordingly it will decide whether or not the administered price should go up, whether or not the decision of the Cabinet Committee on Economic Affairs should continue or not. But as far as Kejriwal is concerned, the former chief minister of Delhi is concerned, he is seeking to make an important political point. He is saying that we have to break the nexus between big business and politics. He quotes from the Nira Radia tapes which interestingly has Ranjan Bhattacharya, the foster son-in-law of former prime minister Atal Bihari Vajpayee, commenting and quoting Mukesh Ambani saying, 'Congress to mera dukan hai, ('The Congress is like my shop'). So, it's interesting that he is repeating these allegations, which came up in the Radia conversations. What will it mean in Election 2014? By attacking the richest man in India, Kejriwal is seeking to make this entire Krishna-Godavari gas issue into a highly political one in the run-up to the elections. So, he is trying to kill both birds with the same stone. There is a Gujarat government company too involved in the KG basin -- the Gujarat State Petroleum Corporation -- and there is also a fair amount of information in the public domain to indicate that everything is not above board as far as the GSPC and the way it has been operating in the KG basin is concerned. So, Kejriwal is attacking both his political opponents. 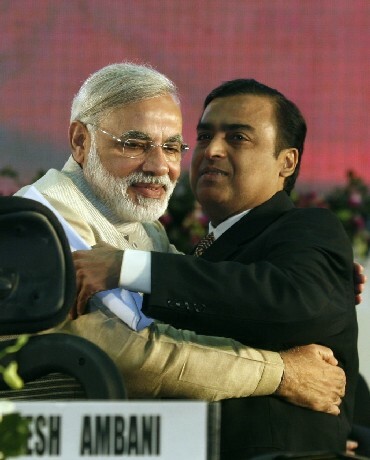 Image: Reliance Industries Chairman Mukesh Ambani, right, embraces Gujarat Chief Minister Narendra Modi. Are you supportive of what Kejriwal is doing at the local level against Mukesh Ambani and two Union ministers? I think what the former chief minister of Delhi has done -- to highlight the nexus between big business and politics -- is very important. I do believe that this nexus between business and politics and where there is an illegal nexus or a criminal nexus is at the root, the very foundation of corruption in India. I think one of the most significant aspects of the amazing performance of the Aam Aadmi Party in Delhi has been that it was able to demonstrate that you can run a political party and finance an election campaign on the basis of small donations, voluntarily given by large numbers of people. Mind you, this is not new in Indian politics! 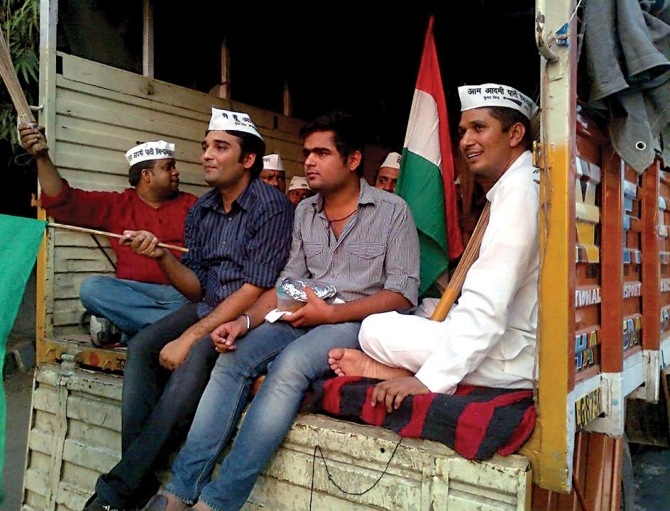 The AAP is trying to reclaim a very old tradition in Indian politics. This is the way before and after Independence, the Congress used to raise its funds. This is the way the RSS (Rashtriya Swayamsevak Sangh) used to raise its money, this is the way the Communists used to raise its money! However of the recent past, over the last few decades we saw this ugly nexus between business and politics becoming very, very important in the manner in which elections and political parties were funded. Political parties and candidates standing for election became excessively dependent on illegal money given by the cronies, the corrupt businessmen, the corrupt bureaucrats, criminals. And when these corrupt individuals or corrupt elements invest in a candidate, and that candidate gets elected, he or she becomes an MLA (member of a legislative assembly or an MP (member of Parliament) or a minister. The investor wants to get his return and the return comes in the form of licences, in terms of allocations of natural resources including land -- this quid pro quo operates. I think, what is important, is that this issue is being highlighted. Yes, you can call Kejriwal a populist, you can call him an anarchist, that he is taking on the richest man in India to become more popular amongst the poor or the middle classes. But the fact is, I think, by targeting Ambani and highlighting the Krishna-Godavari gas issue, the AAP is also trying to highlight -- even if for its own political gain -- how the nexus between business and politics works. Image: The Aam Aadmi Party in Delhi has been able to demonstrate that you can run a political party and finance an election campaign on the basis of small donations, says Paranjoy Guha Thakurta. We have seen many scams. Why have you put your energy in investigating and writing a book on the Krishna-Godavari basin gas pricing controversy? I have been interested in this entire issue of natural resources for some years now. I have made documentary film series on coal mining in Dhanbad in Jharkhand. I have made another documentary film series on illegal mining in Bellary in Karnataka and Anantpur in Andhra Pradesh. You may be aware, that I was one of the petitioners in the 2G spectrum scam case. And therefore this entire issue of how natural resources are allocated, rather misallocated; how they are valued, often under-valued -- this is a subject that interests me deeply because I think it is at the heart of the nexus, the criminal nexus between sections of big business and sections of politicians in this country. The government is supposed to represent the interests of the people of this country. Natural resources belong to the people of this country. When the government fails to act as a fair, transparent and genuine custodian of resources that belong to the people of this country, you have crony capitalism. And that is why we see crony capitalism in this country has become a big issue in this country. Take the case of Krishna-Godavari gas. This is natural gas that is in the bed of the ocean in the Bay of Bengal. I believe that one of the most important reasons why the Ambani brothers (Mukesh and Anil) fell out with each other was this entire issue of who gets to use this natural gas -- and under what terms and conditions, what is the pricing, and this became the key issue, I believe. Anil Ambani's group of companies -- the Reliance Natural Resources Ltd -- wanted to set up its plant at Dadri near Delhi -- Asia's biggest gas-based power plant. He could not. He lost this battle to his older brother in the Supreme Court. But what we have seen in the recent past is how the government has put together a production sharing contract which favours the private contractor, and not the interests of the exchequer, the national exchequer or the people of this country. This is not me speaking. It is the Comptroller and Auditor General of India speaking. Can you explain how the KG basin contract is under a cloud? The way the investment multiples has been worked out in this contract; it encourages the private contractor to spend large amounts of money on capital equipment (which is reimbursed by the government, as per the contract). This (inflating of amount) is called gold plating. And, this has created a situation where the private contractor, the company, the consortium which is controlled by Reliance Industries Ltd, headed by India's richest man -- they get to benefit right through. The way the government has sought to enforce the provisions of various agreements, all clearly show that the government's actions have favoured Reliance Industries Ltd. RIL is claiming that the gas output from the Krishna-Godavari basin has come down by less than one fourth, because of geological surprises, that this entire gas exploration and gas production business is highly uncertain. It is called the ultimate casino business. Mind you, this production sharing contract was not signed by the UPA government. It was signed by the NDA (Bharatiya Janata Party-led National Democratic Alliance) government. See this whole issue of say, relinquishment of area, that you have explored in a particular area, and then if you have to, within a certain period of time, you have to explore that area, and if you don't, then you have to relinquish that area and give it back to the government so the others can explore it. See, the whole issue of the number of wells you are supposed to dig -- all of these are being challenged by RIL. There is a arbitration pending and it is a very unusual kind of a situation. 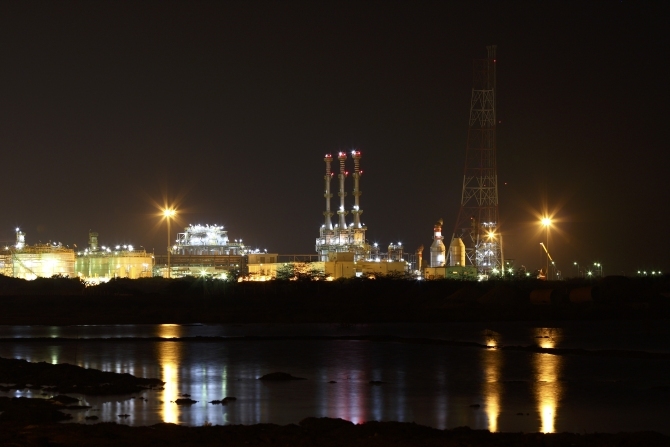 Image: Reliance Industries KG-D6's facility is located in undivided Andhra Pradesh. That arbitration has been going on for such a long time. Reliance has appointed Justice S P Bharucha, a retired chief justice of the Supreme Court, and the government has appointed another retired chief justice, Justice V N Khare as its representative, but then you need a third arbitrator. And the two have not been able to arrive at any understanding as to who should be the third arbitrator. So, the panel of arbitrators is incomplete. These arbitration proceedings have been going on and on and on. I think we need to have transparent, fair systems for the regulation of the gas sector. Putting it simply, is there a scam in the allotment of gas from the KG Godavari basin, or also in the pricing? First, the way the production sharing contract was structured. There are issues about it. Second, the pricing of the gas. First it was the empowered Group of Ministers headed by (then external affairs minister) Pranab Mukherjee who decided to increase the administered price of gas from $2.34 per unit to $4.2 per unit and in the more recent case where the Cabinet Committee of Economic Affairs agreed to further enhance this price of gas from $4.2 per unit to about $8.4 per unit from April 2014. Now there are two important points that need to be noted. Why is the price of natural gas which is being produced in Indian territory being priced in US dollars? You don't price coal in US dollars! You don't price iron ore in US dollars, unless it is being exported! So far there is no evidence to indicate that the higher price of gas will automatically result in new investors coming in. They haven't come in yet. I think the second point I need to make, and it is very important. This is a government which believes in market-friendly economic policies. This is the government which has been very critical of the way subsidies are being given. It is unhappy because we have administered price of diesel, there is administered price of kerosene, there is administered price of subsidised LPG or home cooking gas. Why then in the case of gas is the government not going for market-oriented pricing, but going in for fixed administered prices? It was the same story with the 2G scam. Why did (then telecommunications minister) A Raja use prices that were discovered seven years ago and allotted the licences on a first-come, first-served basis? The same government which waxes eloquent on the virtues of the free market or market-friendly policies is following completely different policies in the gas sector. What was wrong in the allotment process? As far as I know, there was nothing wrong in the allotment process. The problem is the way the contract was structured. Then comes the question of the enforcement of the contract itself. If you do not enforce that contract, then there is a problem. The next aspect is the pricing of the gas. You must remember, it is common knowledge why Jaipal Reddy was kicked upstairs and removed from the ministry of petroleum and natural gas. It is common knowledge that within the Cabinet Committee of Economic Affairs, which decided to increase the administered price of gas that helped Reliance in a big way, was based on the Rangrajan Committee formula -- the Cabinet was deeply divided. On one side Petroleum Minister Veerappa Moily, Finance Minister P Chidambaram, Deputy Chairman of the Planning Commission Montek Singh Ahluwalia were in favour of higher administered price of gas. On the other side, Cabinet members like former petroleum minister Jaipal Reddy, who is now the science and technology minister, Rural Development Minister Jairam Ramesh and Union Ministers Jyotiraditya Scindia, Srikant Jena, all of them were opposed to it. Prime Minister Manmohan Singh sat silently. Eventually, the views of those who believed that the administered price of gas should increase, prevailed. Part 2 of this fascinating interview: Government of the people or for Reliance? 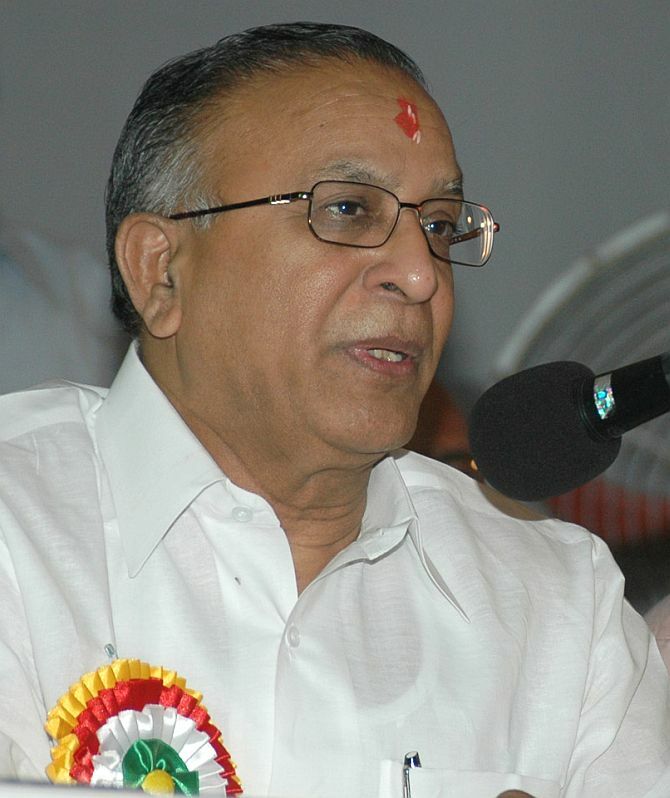 Image: S Jaipal Reddy, who was abruptly removed as petroleum minister. Should govt pay Reliance $14.2/mmBTU for K-G gas?